Flying Hobbies is a store who sells the playing items to the kids of the playing school and their guardians. This store requires a website to display the actual physical layouts and content management to advertise their store. They have contacted to a software design and development consultant organization to develop and design a website that will capable to capture all the requirements of the flying hobbies stores. They provide us the initial requirements and technical specification as this website must be develop and designed by the help of PHP, HTML5 and CSS. Developer- For this website I will be working as a Developer, Designer and a tester. Rational or focus- This site has three main product pages with their description about the products like Kites, Quad Copters and Toy Planes. These pages provide information with images and description for the visitors. If they click on images then the visitors get more information and detail about the products. It has text description for each item. Business hours provides detail about opening and closing of the shop. Goal of this website is that the owner wants to show his business presence. He wants to get and attract more number of customers for his business. He provides more information of his products and store layout for the visitors. Main Elements outline- The Main elements are that the visitors can get more information of any products and also get detail about business hours. 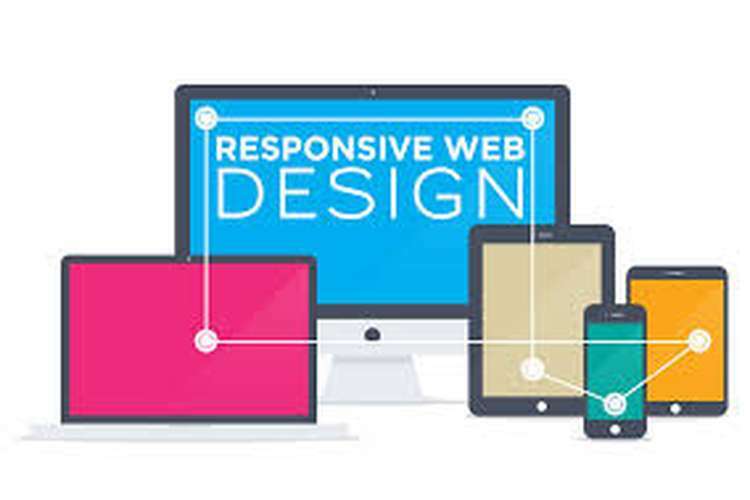 The website basic elements would be its design responsiveness, HTML5 and CSS3 usage, crisp item images, logo needs to be specifies at each page, content, navigation, good appearance, sharp menus, background images of good quality and sliders. Target Audience- This website making for education purpose. The student can read and get information about these items. The visitors can be known that how to play and use these items from this site. All the items are related to educational information. They can be used for schools, college’ exhibitions and so on. Design considerations- we used HTML5, CSS, CSS3 and high quality images. It is simple design to attract the customers. Logo should be left side of the web page and we used left align for the logo. Text color combination, animation on images, font-size and font-family is perfectly using in this site than customer easily understands these things. This website is responsive. Easy Navigation: We will make sure that the website is easy to navigate and consistent throughout. As if your website not easily navigates and understanding, they may lose their interest on your website and leave. Browser Compatibility: There is various type of browse available which is used by the users like Google, Mozilla, Internet explorer and many more. Some websites are not working well with all the type of browser, so web designer have to consider the website is supported by multiple browsers. Limiting Factors- We can use editor only notepad and notepad++. The site should be responsive. We are not making use of any of the server side scripting or web technologies into website. The website design will solely be made using HTML and CSS. Images must be displays with screen resolution 1024 x 768 to 1280x1024. We have made rough sketches of all the navigational pages for the website. The flying machines website has a homepage including the name and welcome logo (an image) on every webpages. The color of header is pale yellow and the colors of links are black. It includes total six menus with links. When a website is open it display a welcome message with attractive image of the store. The floor plan is placed on to the home page to facilitate customers. The footer of the homepage include copy right and the color will remain same as the header. Before designing and developing the website we have prepare a rough sketch for the website of store which is demonstrate in blow figure. But we have changed and after designing and development the content management of about us webpages is display like the below figure, where the header is of orange color which includes logo (white color) of the store with social links and footer includes the copy right of the flying hobbies store but the color remain is remain same as the header. The page which is designed for kites contains logo and social links at header and copy right at the footer. The content management of kites webpage is display like the blow depicted figure where the kite heading contain two columns and every column includes the image and short description of that kite. All the other item pages (quad copper, toy planes) will be made similar to this page only. The business hours webpage contains header and footer same as other webpages, the webpage of business hours display the menus like HOME, ABOUT, QUAD COPTERS, TOY PLANES and BUSINESS HOURS. The Business hour webpages demonstrate with the help of background image. This page shows the timing and work schedule of the store. The specification for this consultant company is depends upon their requirements and goals. We include only the physical layout of the Flying Hobbies toy store website according to the requirement of Consultant Company. The description for this company’s website is used to provide a brief description about the output of the developed website. This website is developed for capturing the maximum customers like kids of playing school and their guardian by advertising stores products onto the web. The primary goal to develop this website is to provide a description and to show the physical layout and product arrangements. This website is designed and developed by keeping in mind that during visiting the web store of company, user don’t faces any difficulties on navigation of webpages. The arrangement of web store is same as the actual arrangement of the Flying Hobbies store and the web pages of this website is very user friendly that enhanced the capabilities of user by providing them a very attractive website. As per the requirement of the company we create a web application we creates total of seven webpages and provide an effective navigation system so the user can access all the webpages. The pages of this website are designed as lightweight so as it don’t take a single minute to load the pages. The name of the seven pages is Home Page, About Us, Business hours, Quad copters toy, toy plane, kites and floor plan. The aim behind developing this website is increase the sale of flying hobbies store by advertising the products and provide description about the physical layout of the actual store along with the direction. When the website is designed and developed effectively and be user friendly by showing only the relevant description about the physical store and product arrangement as same as actual or all the objective of company requirement is achieved then a customer will automatically satisfied with this website. 1. The format of product arrangement is as 3*3. 2. The physical layout of the website which is developed for the flying hobbies store is developed to only provide the overview of the actual store and arrangement toy products. 3. All the seven webpages have a solid navigating system so the user doesn’t face any problem during navigating the webpages. 4. The name and design logo of the company will be visible on to the entire website pages. 5. All the three toy products will be show with an actual image. 6. This website will be able to runs on any type of browsers like UC Browser, Google Chrome, Mozilla Firefox and Internet Explorer etc. The intended audience of the store is kids of the playing school and guardian of these kids. The playing school and the guardians of such kids taught them through the playing products or toys like quad copters and toy planes. They also pamper their kids by teach them through the help of live examples. The store has also the secondary audience like suppliers and manufacturer of these toys. The other important audience of the store is designer and developer of the website, maintenance team and their staffs etc. 1. The major problem with this website that may influence the website development is the authentication and security because database will not be created. 2. The backup of data is the another influence which will not considered at the time of developing the website so at critical situations all the data of the website may be lost. 3. The regular maintenance support is required. 4. Update is required whenever the store wants to add new items onto the webpages. 5. The budget of the flying hobbies is also an important aspect that influences the website’s development. 6. This website is designed without scripting language which may create a major influence. A flow chart is a well-structured geometrical representation that included geometrical shapes or diagrams to represent the work process of any type of application. The primary aim to create a flow chart is to provide an ability to the user to get the full working information of the application by the help of some geometrical shapes. These shapes are inter connect to each other to show the working of applications, process or tasks. The flow chart of any web application or mobile application will be break the problems into number of parts and display these parts in very user friendly format. The use of flow chart is designed, maintain and to analyze the work process in block wise. A wire frame is a rough sketch or a schematic blueprint that will be created to get the rough idea before developing a mobile app or web app. It shows the prototype of the applications. This a primary stage to develop any application to basic design of page. The major aspect to create a mockup gets the description about the functionality, behavior and page layout. It can be created by the help of pencils or drawing sketch or by the help of computer. The wireframe is cheap in cost, easy to use and provide better understanding that will enhance the capabilities of designer and developers. 3. Classes and id is used with “.” And “#” than use curly braces. A. Typefaces for the body will be used font-family=”open-sans, sans-serif”. B. 6 levels heading are necessary h1, h2, h3, h4, h5, h6. C. Font-weight property specifies the weight of text and it bold the text. Font-size property sets the size of text and it increase the size of text. D. Text will be bold, h1, h2 will be used for text heading, and background will be according to the text color, like white text color with dark yellow background. Font-family will be good. E. Hypertext link be custom color. Color will be used white and other mix color. F. Line length will be 1px. A box model is a collection of all the html elements. In cascading style sheets the term Box model is used to describe the design and layout. The Box Model of any webpage consist margins, borders, padding and the actual contents. The example of the box model is described below along with the dimensions. This is a box model of the homepage of the developed website having dimension as 900*620 pixels. The box model of flying hobbies website consist margin, border and padding and the given dimension included all these elements. This is a box model of the about us page of the developed website having dimension as 719.091*87 which consist all the elements like margin, border and padding. The padding of the about us page is 63. This is a box model of the kites’ page of the developed website having dimension as 720*23 which consist all the elements like margin, border and padding. This is a box model of the Quad copters page of the developed website having dimension as 720*43 pixel. This is a box model of the toys plane page of the developed website having dimension as 720*43 pixels. This is a box model of the business hours page of the developed website having dimension as 791*87 pixels. At the end I would like to summarize that the new developed website will enhance the capabilities of flying business owner by providing an online and easy way to advertise the physical layouts and the items or products which is sell by them. The primary objective is to facilitate user or learner by get full understanding about concept of website designing and how to work upon it by using the designing tool and also to enhance the designing skill to achieve their goals in future. Boudreaux, R. (2011). 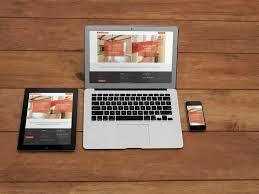 Five free Web authoring and design tools - TechRepublic. [online] TechRepublic. Available at: http://www.techrepublic.com/blog/five-apps/five-free-web-authoring-and-design-tools/ [Accessed 26 Feb. 2016]. Vocell, J. (2016). The 8 Elements of Modern Web Design (And Web Design Trends to Watch). [online] Blog.hubspot.com. Available at: http://blog.hubspot.com/marketing/elements-of-modern-web-design-list#sm.00000u4qjrwpv5d5azgc1uw4322az [Accessed 24 Aug. 2016]. Marketing Mojo for Small Business. (2012). 6 Key Elements to a Good Website - Marketing Mojo for Small Business. [online] Available at: http://www.webs.com/blog/2012/02/28/6-key-elements-to-a-good-website/ [Accessed 24 Aug. 2016]. Npgroup.net. (2016). Writing A Website Specification Doesn't Have To Be Scary!. [online] Available at: https://www.npgroup.net/blog/writing-a-website-specification-is-not-that-scary/ [Accessed 24 Aug. 2016].